DC Universe is a multimedia streaming service that launched in September 2018. The service is owned by DC Entertainment and Warner Bros and provides users with access to TV series, movies, cartoons, and comic books based on DC Comics superhero characters such as Batman, Superman, Wonder Woman, and The Flash. Media on DC Universe consists of classic DC Comics TV shows from several eras. Every episode of the 1970s Wonder Woman TV series is available to watch on DC Universe, for example, as is the popular Batman: The Animated Series cartoon from the 1990s. As far as movies go, the original Superman and Batman movies are included in the DC Universe's library, along with a variety of modern animated Justice League films. 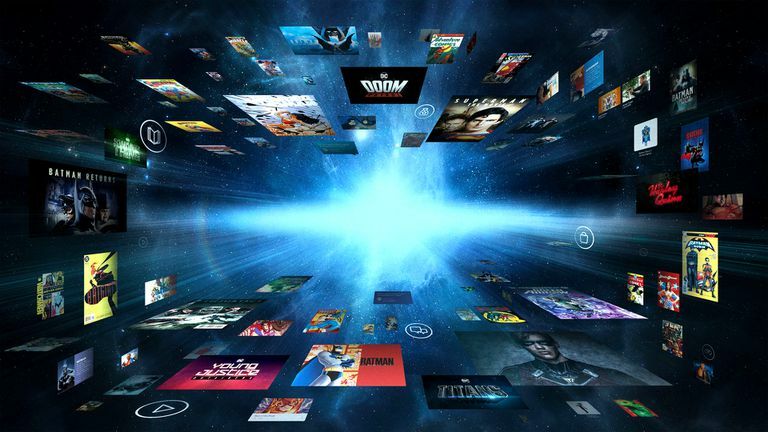 More previously released content is expected to be added as the streaming service matures in addition to a range of new exclusive live action shows. What TV Shows Are Exclusive to the DC Universe Streaming Service? To make DC Universe more attractive to fans, a range of new live-action TV series based on DC Comics characters have been announced. These series are exclusive to DC Universe and will not be available to watch on rival streaming services in the United States. Among the exclusive series announced are a live action Titans show based on the popular Teen Titans cartoons and comic books, Young Justice: Outsiders, Doom Patrol, Swamp Thing, Stargirl, and Harley Quinn. A daily news program, DC Daily, which covers comic book and geek news relating to DC Comics characters and series, is also exclusive to DC Universe and airs new episodes every weekday. As part of the DC Universe service, subscribers gain access to a collection of classic and modern DC Comics comic books that can be read within the DC Universe apps. On the smartphone and tablet apps, the digital comic books can be read just as an ebook would. When viewed on one of the TV apps, the comic books become more of a cinematic experience and play as a slideshow that can be watched by a group. Digital comic books are included with the regular subscriber fee and are not part of any special membership tier. In addition to the TV series, movies, and digital comic books, DC Universe also features an online store and discussion forum within its apps. DC Universe's online store is a place where fans can purchase real-world merchandise such as clothes and action figures based on DC Comics characters. Several products, such as some limited edition Superman and Batman figures, are exclusive to this store. The discussion forums are online message boards built into the DC Universe apps and are a place for subscribers to connect with other fans and talk about their favorite series. These forums work in much the same way as most online message boards, but can only be accessed by paying DC Universe users. DC Universe is only available within the United States and it's unclear if there are plans to roll it out internationally like with Netflix and Hulu. Netflix currently has streaming rights to the DC Universe exclusive series, Titans, outside of the U.S. which suggests an international launch could be a while away. DC Universe costs $7.99 per month or $74.99 for an annual membership. Paying the monthly fee for one year amounts to $95.88, so the one-off annual fee is recommended for those planning to be long-time subscribers. How Can I Watch DC Universe? DC Universe content can be accessed via a web browser on a computer or via one of its official apps. DC Universe apps are available on iOS and Android devices, Apple TV, Roku, Android TV, and Google Chromecast. Anyone within the United States can sign up for DC Universe via the official website or one of its official apps. Is DC Universe the Same as Netflix? DC Universe and Netflix are completely different services. While Netflix and DC Universe both offer streaming TV series and movies, they're each run by different companies and require separate subscription fees. Some people may refer to DC Universe as "a Netflix for DC Comics fans," but this is said simply to communicate that it's also a streaming service and is similar to Netflix. What Are Some DC Universe Alternatives? There are several streaming and online services fans of DC Comics may want to check out, either in addition to DC Universe or in place of it. Netflix: The biggest alternative to DC Universe is Netflix, which actually has several DC superhero TV series and movies that aren't yet available on DC Universe. CW App: The CW TV channel is home to the popular Arrow, The Flash, Supergirl, Black Lightning, and DC's Legends of Tomorrow TV series, all of which are based on DC Comics characters and can be watched in the official CW app. Comixology: Those interested in reading digital comic books should check out Comixology, the most-popular online location for reading comic books from DC Comics and its rivals like Marvel Comics. Comic books purchased on Comixology can be read on their smartphone and tablet apps or in a web browser, and all issues can be downloaded for offline reading. Disney+: Disney+ is Disney's new streaming service set to launch in late-2019. While it won't have any shows or films based on DC Comics characters, it will be the home for those based on Marvel characters and properties like The Avengers, Spider-man, X-Men, and Black Panther.